YOU GUYS. 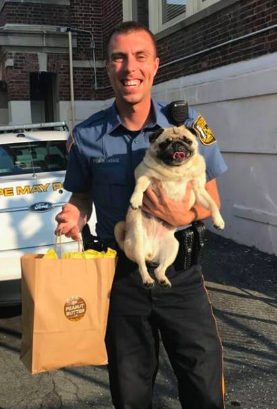 This weekend in New Jersey, the Cape May Police Department arrested a suspect on charges of "sneaking through yards." The suspect stood about two feet tall, weighed around 20 pounds, and was described by sources as a "Lil' stimky nugget." He was listed as armed and dangerous — armed with DANGEROUSLY STIMKY FARTS AND PUG BREATH, that is!!!!!!!!! 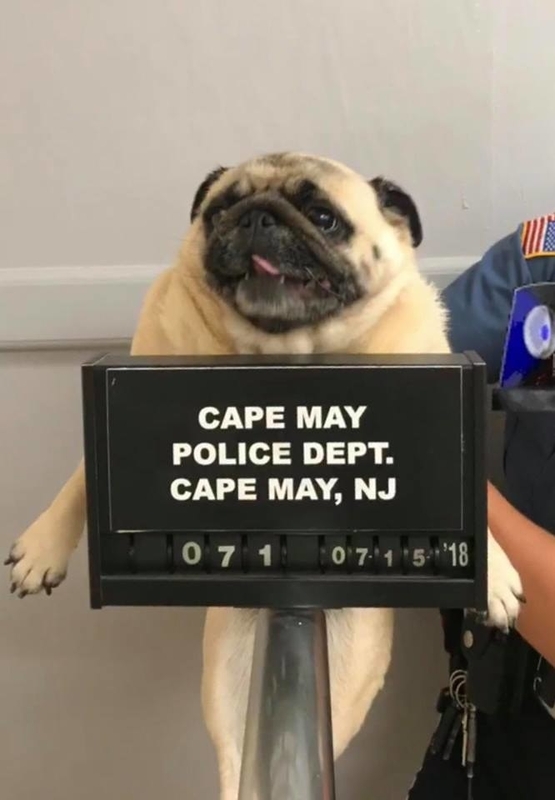 The Cape May officers also issued a warning along with the deplorable puggo's mugshot, writing: "This is what happens when you run away from home," and added, "#pugmug." ...and said bail was then paid in peanut butter cookies. Also, it was learned that the pug's name is Bean and she's a WOMAN!!! We love a good-girl-gone-bad-gone-good-again story, and Bean is the perfect poster pug.